I’m curious about The Promise mostly because of the talented Mr Bale but also because of the controversy surrounding the subject matter, the Armenian Genocide. At time of writing, The Promise hasn’t even been properly released yet except at the 2016 Toronto International Film Festival on September 11th; yet it has a very poor IMDB score of 1.8 out of 10, the lowest I’ve ever seen on the site. I refuse to believe that Christian Bale would choose to be in a movie as terrible as the score suggests. Unfortunately, I can’t quite say the same for Oscar Isaac – on account of Mojave (2015). I digress. My guess is that those opposing the movie for political reasons have decided to do what they can to deter others from seeing it. If that’s the case, time will tell how well that’s going to work. You’d think that trying to wrap my ‘non-numbers oriented’ head around the financial market speak of The Big Short might be the hardest thing about the movie. That would be incorrect. I’m afraid having to endure the musical tastes of Michael Burry, Christian Bale’s eccentric character proved far more challenging. Burry’s penchant for heavy metal aside, the story about the men who saw the credit and housing bubble collapse coming – and proceeded to profit from it is one I enjoyed quite a bit. The narrative structure, dialogue, pace, editing and performances all came together beautifully. Steve Carell was particularly entertaining as Mark Baum. A performance I see as a great follow-up to his notable work in Foxcatcher (2014). 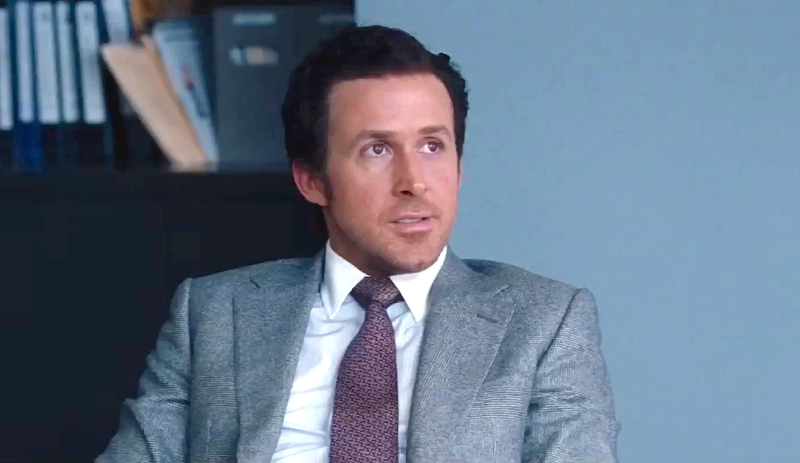 Like The Wolf Of Wall Street (2013), the Wall Street setting of the The Big Short, is very much a boys club and from such situations often come the opportunity for rather entertaining banter, hence my appreciation for the film’s dialogue. Director, Adam McKay’s film didn’t teach me anything new in terms of how the world works. What it did do is remind me that it pays to have a good understanding of the reality of the bank’s priorities and what that can come to mean for the average person. Some people have called The Big Short depressing. The reality the film deals with isn’t the kind of news that’ll make your day. However, there’s humour here and the information within the movie, plus its creative execution makes the experience worthwhile. The Big Short is based on a book of the same name by Michael Lewis. Ryan Gosling, Steve Carell, Brad Pitt and Christian Bale are the main stars.